People either love them or have never heard of them. 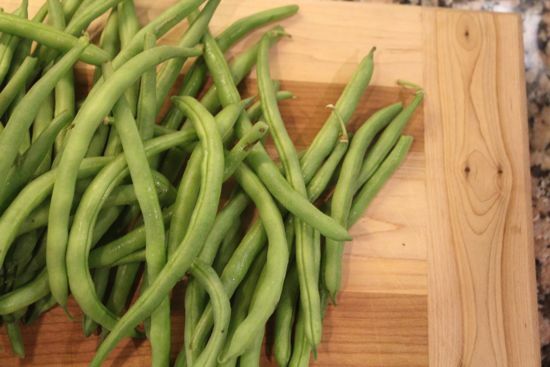 People raised with a vegetable garden are most familiar with a dilly bean. When you grow beans, the dilly bean is ammunition against plants that produce green beans every time you turn your back. Where every day’s harvest is a big heap of beans. And then put the crispy, vinegary, spicy delights in a Bloody Mary, alongside your pulled pork barbeque, or eat them right out of the jar. They are a great balancing element on a cheese and charcuterie plate, or wherever you might serve a dill pickle. This was my first canning project ever. I can still remember it – standing up on a kitchen stool, next to my great grandmother Agatha, stringing beans over the sink, filling jars, and pouring the brine. 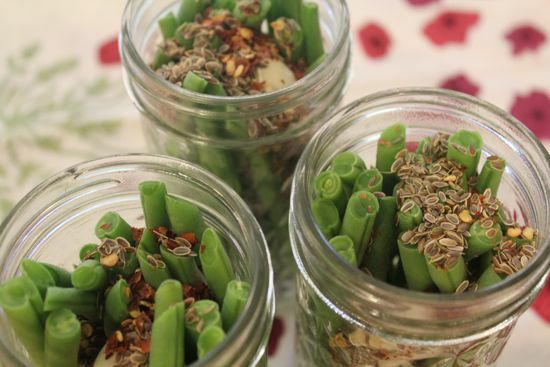 They are easy enough to make one jar at a time, or grab a few pounds of bright new green beans at the market this weekend and put up a dozen jars or so. As far as I’m concerned, you can never have too many. Sterilize your jars. Wide mouth pint jars are best. 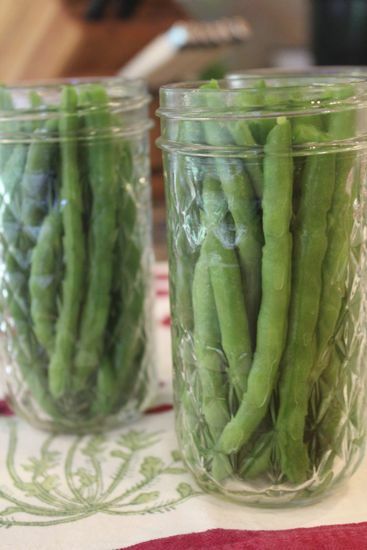 If the beans are very long and elegant, the 12 oz jelly jars are gorgeous. Trim the green beans. I leave the tails. Make sure they fit in the jars leaving 1/4″ headspace. Bring salt, vinegars and water to a boil. 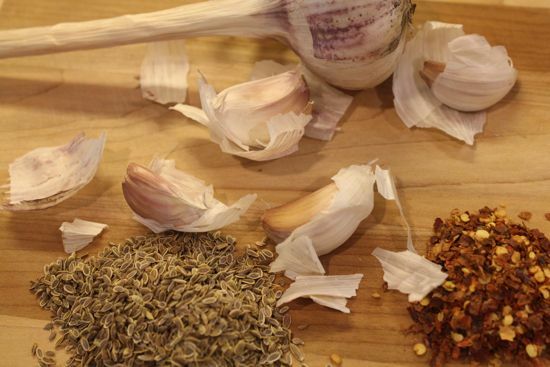 Divide the red pepper, garlic and dill seed between the jars. Pour the hot brine over the beans. Run a chopstick or other airbubble removing device around the jars. Place lids and rings and process in a boiling water bath for 10 minutes. Allow the beans to pickle for about a week before opening. 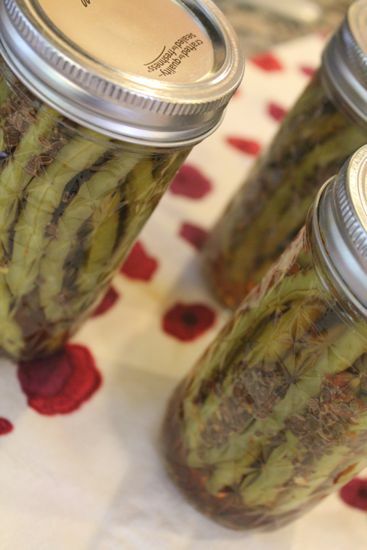 I’ll be demonstrating pickling and canning – dilly beans and half-sour (lacto fermented) pickles July 16th, 9am, at Strosnider’s Hardware in Bethesda. We call them French beans and use it very often for rice dishes and curries. Pickle idea is fantastic! Lovely recipe. Thank you! I just ran out of my last jar that I picked up in Savannah and I need more – we serve them inside a thin slice of salami, rolled up. A huge hit at cocktail gatherings! We have LOTS of beans growing this year and I am excited to make these for the first time! They’re one of my favorites although I had never heard of them until I moved to north Idaho. I use fresh dill (from the garden, of course) and mustard seed with my garlic and hot peppers. I also throw in a grape leaf because it’s supposed to keep them snappy (old wives’ tale?). I love the juniper take for gin and tonic…. My recipe came from an older woman who was from north Idaho. She also used the same pickling recipe for carrots, zucchini, and any other non-leafy fresh garden veggie. At the moment, however, my beans are only 6-8 inches tall. Long, wet, cold spring this year. I can’t wait to try these–my mouth was watering reading the recipe! Have you tried with different types of vinegars–champagne, red wine, etc. I love the idea of Junipery beans for gin and tonics! Will this work with bush beans. I have a ton of them in my garden. Hi, how long can you keep them? Need to putt in fridge after opening? I would like to give this recipe to mymparents who have a vegetable garden. Thanks! Cheers! The beans are shelf stable for a year, and once opened will keep in the refrigerator for a month or so. 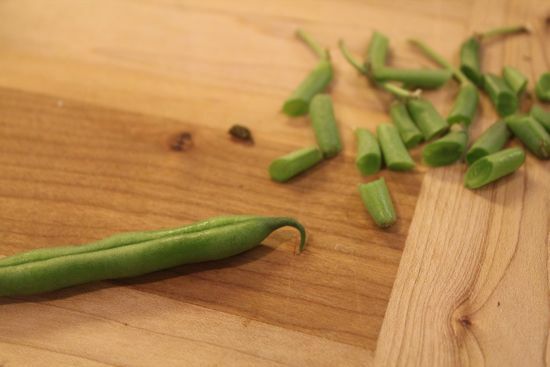 I absolutely love dilly beans– and you’re spot on about how they work magic in a bloody mary. It’s funny, all these years I thought my aunt invented them mostly because I never heard anybody else talk about them. Thanks for the recipe and post. My girls and I had these for the first time this weekend. Got them from the farmers market. All I can say is YUMMMMY , told my oldest (13 ) we are making these !!! Pot Luck Crowd Pleasers. Classes in Texas in June!